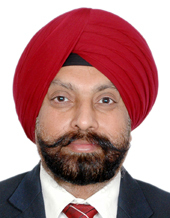 Mr. Jasbir Singh is the Chairman and Chief Executive Officer of the Company. He holds Bachelor’s degree in Engineering (industrial production) from Karnataka University and Master’s degree in Business Administration from the University of Hull, United Kingdom. He is serving the Board of Amber Enterprises India Limited (“Amber”) since 1 October 2004 and appointed as Chairman and Chief Executive Officer of the Company with effect from 25 August 2017. He is having more than 15 years of experience in the RAC manufacturing sector. He has successfully established over seven factories in past ten years and established relationships with various large brands. Under his guidance, Amber has initiated the concept of additive manufacturing solutions. He has played an instrumental role in successful acquisition of PICL (India) Private Limited in 2012, the wholly owned subsidiary and two PCB Board manufacturers i.e. IL JIN Electronics (India) Private Limited and Ever Electronics Private Limited, the subsidiaries. He has provided dedicated and meritorious services and significant contribution to the overall growth of the Company and successful completion of the Initial Public Offering (IPO) of the Company and getting the equity shares listed on both the Stock Exchanges on January 30, 2018. Under the leadership and guidance of Mr. Jasbir Singh, the market share of Company increased substantially to 19% in RAC manufacturing in India and 55% of outsourced RAC manufacturing in India. Recently, he has received “Man of Appliances” award from CEAMA Consumer Electronics Appliances Manufacturers Association. Mr. Daljit Singh is the Managing Director of the Company. He holds Bachelor’s degree in Electronic Engineering from Nagpur University and Master’s degree in Information Technology from the Rochester Institute of Technology. He is serving the Board of Amber Enterprises India Limited (“Amber”) since 1st January 2008 and appointed as Managing Director of the Company with effect from 25 August 2017. He has 12 years’ experience in finance services and ten years of experience in the RAC manufacturing sector. He was also associated with Morgan Stanley in New York as an analyst in the infrastructure track of their information technology analyst training program. He has provided keen and commendable services and significant contribution to the overall growth of the Company and successful completion of Initial Public Offering (“IPO”) of the Company and getting the equity shares listed on both the stock exchanges on January 30, 2018. He has received “Entrepreneur of the Year 2016” award from Ludhiana Management Association. Mr. Manoj Kumar Sehrawat is a Chartered Accountant and Member of the Institute of Chartered Accountants of India and has a Bachelors in Commerce from Delhi University. He is based in Singapore and has 21 years of experience in financial services across private equity, distress debt acquisition & resolution, corporate and financial restructurings in India. He has been with ADV since inception and is part of the founding team. He leads ADV’s coverage of India and is responsible for driving value-add initiatives and generating synergies between ADV’s India investments with the broader portfolio. 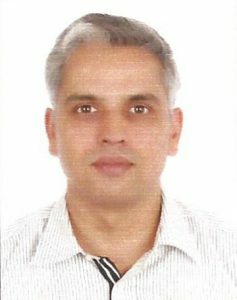 Prior to ADV, He was Vice President with JPMorgan’s Asia Special Situations Group and as part of the initial team for special situations investing business in India he played a key role in sourcing, analyzing, structuring and executing investment opportunities as well as asset management of Indian portfolio companies. Previously he worked at ARCIL – India’s largest asset reconstruction company, where he was responsible for acquisition of NPLs from banks & FIs and evaluation & implementation of recovery strategies for NPLs acquired. Prior to that he worked at Dimensions Consulting – a boutique sell side advisory firm where he led execution of several mandates covering business & financial restructuring for large corporates. Mr. Satwinder Singh holds a bachelor’s degree in commerce and law from university of Guru Nanak Dev University. He is a certified Associate of Indian Institute of Bankers and Fellow Member of the Institute of Companies Secretaries of India. 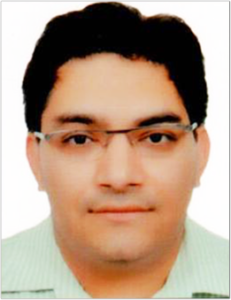 He is registered as an insolvency professional with the Insolvency and Bankruptcy Board of India. He heads Vaish Law’s (the Firm) Corporate Laws practice at New Delhi and has 25 years of experience and has been associated with the Firm since February, 1998. 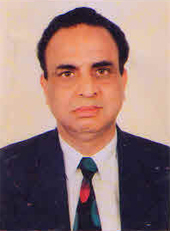 He has extensive experience in handling mergers and acquisitions, corporate restructuring, joint ventures, collaborations, private equity, takeovers, acting as legal advisor to initial public offerings, rights issue, FCCBs and GDRs, open offers, conducting legal due diligence, drafting agreements, rendering opinion on diverse issues under Companies Act, Foreign Exchange Management Act, SEBI Act, SEBI Takeover Regulations, Stamp Act and other Corporate and Industrial laws. Further, he also got the distinction of his registration as second Insolvency Professional in the Country by the Insolvency and Bankruptcy Board of India. 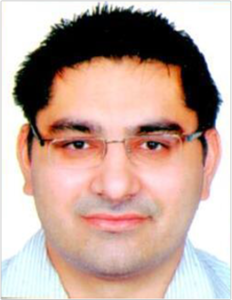 Dr. Girish Kumar Ahuja holds a bachelor’s and Master’s degree in commerce from University of Delhi. He did his Ph.D from University of Delhi. He is a qualified and practicing Chartered Accountant for the past 45 years and a Member of the Institute of Chartered Accountants of India. He is a Member of a committee on direct tax matters constituted by the Government of India. He is also nominated by the Government of India as a part time non official Director to the Central Board of Directors of State Bank of India. He is a consultant on tax matters to various industries and nonprofit making organizations. He has also nominated as Member of high powered committee formed by Government of India under the Chairmanship of justice A.P. Shah, Chairman Law Commission to look into (i) issue of applicability of MAT provisions in the case of foreign companies and FII’s (ii) any other issue relating to applicability of direct tax provisions which may be referred to it by the Government/CBDT from time to time. He is author of 25 books on Direct Taxation both for students and professionals including a concise commentary on Direct Taxes, Compendium of Issues of Income Tax and Wealth Tax, Direct Taxes Ready Reckoner, Direct Taxes Law and Practice, Guide to TDS, Taxation on Capital Gains. Ms. Sudha Pillai, is a post graduate in Psychology (gold medalist), Punjab University and in Public Administration, Harvard University, USA with special areas of interest in Impact of Foreign Direct Investment on Employment & Growth, Macro Economic Policy, World Food System, Equity in Rural Development Policy and Leadership & Mobilization of Group Resources. She joined the Indian Administrative Service in 1972 at the age of 22 with Second Rank on all India basis. She has served as Sub-Collector and District Collector, Trivandrum, Chairman & Managing Director of Kerala Finance Corporation, Secretary Finance (Coordination), Government of Kerala and Principal Secretary (Finance), Government of Kerala. She has also served as Director in the Ministry of Industry; Joint Secretary, Department of Company Affairs; Additional Secretary, Ministry of Mines and held other positions under Government of India. She was promoted as Secretary to Government of India in 2005. She served as Secretary, Ministry of Labour & Employment and Secretary, Planning Commission before being elevated as Member Secretary. She has contributed immensely in promoting reforms and legal system in India and liberalization of industrial licensing regime. She has also contributed in drafting of the Companies Bill, 1993, Panchayats Extension to Scheduled Areas Act, 1996, processing amendment of the Constitution of India, enactment of Unorganized Workers’ Social Security Law, 2008, implementation of Bundelkhand Package 2009-12, formulation and implementation of New Land Use Policy for Mizoram 2009-12 and implementation of Integrated Action Plan for Naxal affected districts 2010-12. She has rich experience and expertise in policy formulation relating to Technology Transfer, Foreign Investment and Competition Law, National Skill Development Policy and Safety, Health & Environment at Workplace. She has also served as Member Secretary of Planning Commission (India) in the rank of Minister of State and has served as Member of high powered bodies on infrastructure development. She has attended many conferences in India and abroad and in some of them, she has led the Government of India delegations. She was an ex-officio Member of National Highway Authority of India, Indian Infrastructure Finance Company Limited and the Central Councils of the Institute of Chartered Accountants of India, Institute of Company Secretaries of India & Institute of Cost Accountants of India. She has also served on the Boards of National Skill Development Corporation and Apollo Tyres Limited. She was on the Board of Trustees of the Skill Development Trust Fund housed in the Ministry of Finance and was also a Member of the Board of Trustees of National Skill Development Corporation. Presently, she is a Director of International Travel House Limited.